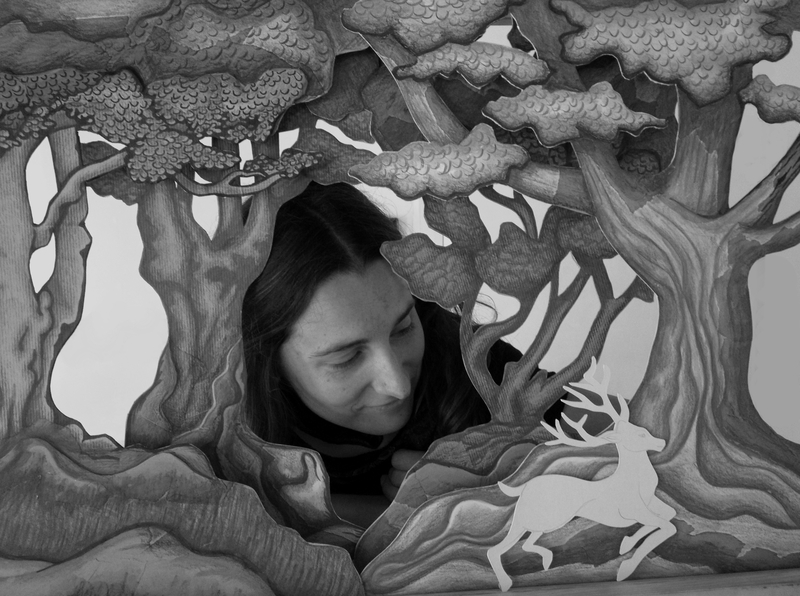 Joanna Hruby is a puppet-maker, storyteller, performer and workshop facilitator. She creates visual theatre commissions and performance for diverse settings including stage productions, festivals, street performance and community arts events. Joanna’s work draws inspiration from folk arts, folk theatre, folk ceremonies, rituals and practices from around the world. She has spent over a decade researching unusual and arcane craft methods for transforming natural, reclaimed and found materials into animated objects, and is devoted to the pursuit of craft as an act which is both creative and political. Her work makes reference to the patterns, structures and symbolism found within the world of myth, story and folktale. Joanna also facilitates a wide range of educational and participatory arts projects rooted in applied puppetry, folk arts, folk theatre and visual storytelling techniques. Through a combination of visual arts and crafts, drama and story-making processes, she works with groups to develop imaginative expression, literacy and creative confidence through the exploration of diverse themes, ideas and questions. She has delivered workshops in schools, special schools, pupil referral units, universities and theatres, and has worked with groups including female asylum seekers, young adults with learning disabilities and NEETS (young people not in employment, education or training). Having spent the last three years professionally based in Plymouth, South West England, Joanna has now relocated to the island of Ibiza in Spain, where she develops work exploring the mythology and folklore of Ibiza through her company, Theatre of the Ancients. Thank you so much Janine! I’m really thrilled you liked it so much to track down my website! I must point out that Philip Kingslan John of Four of Swords Theatre did most of the incredible details of the puppet – the glowing eyes, the costume etc. – I mostly helped him to make the structure and figure out how to operate the puppet. I was amazed when I saw the finished green knight myself…and I loved the whole show. Thanks again for sharing your appreciation!